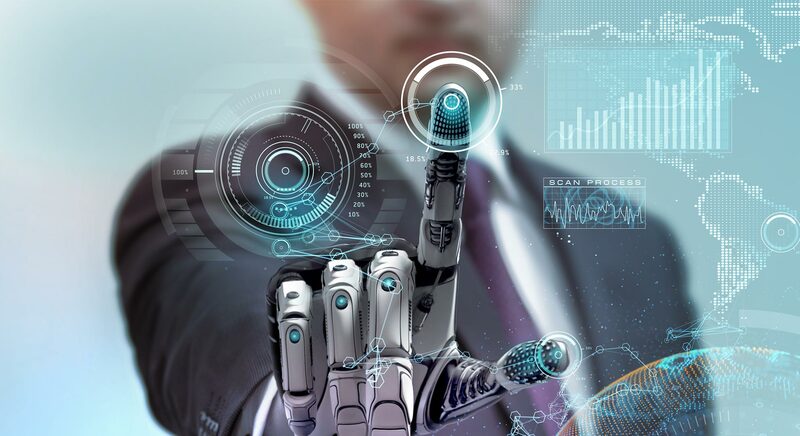 An increasing number of CIOs are adopting an emerging technology called the robotic process automation (RPA) for streamlining their enterprise operations and reducing costs. With robot process automation (RPA), enterprises are automating their mundane rules-based business operations and able to spend more time to higher-value tasks or serve customers better. Others view RPA as a pathway to intelligent automation (IA) through machine learning and artificial intelligence tools that can be further trained to adjust as per future outputs. The article discusses the robotic process automation benefits, its implications and uses cases across the industries and potential growth, risks and enhancements. What are Robotic Process Automation benefits? RPA is the application of technology, governed by the business logic as well as structured points to automate the business processes. Using the RPA tools, the enterprise can configure its software, or a “robot”, to capture and understand the applications to manipulate data, process a transaction, initiating responses and communicating with digital systems. RPA settings can range from something as simple as producing an automatic response to an email, to deploying thousands of bots, each programmed for automating the jobs in the ERP system. COOs in various industry are considering the RPA adoption, as they are determining the ways to use a software for facilitating the business processes without incurring additional costs or headcounts. Robotic process automation (RPA) is the application of technology and software through artificial intelligence to execute repetitive tasks tirelessly, quickly and accurately. RPA offers enterprises an ability to decrease their staffing costs and manual error. David Schatsky, MD at Deloitte LP, has shared a bank’s experience of implementing RPA, where the bank restructured its claims processes by deploying 80+ bots to operate 13 processes and manage 1.5 million requests a year. This way, the bank got the capacity equivalent to over 200 full-time staff at around 30 percent of the cost of hiring more staff. Bots are usually low-cost and simple to implement, needing no customized software and wider systems integration. Such qualities are critically important as enterprises pursue the growth strategies without adding much expenses or friction among existing workers. Businesses have been trying to have some breathing room to serve their business in a better way by automating the mundane or low-value tasks. Businesses can also boost their automation initiatives by combining RPA with the cognitive technologies like speech recognition, machine learning and natural language processing, thereby automating the higher-level tasks that previously needed the perceptual and judgmental abilities of the human personnel. Many of the mainstream businesses from several industries, including Deutsche Bank, Walmart, Anthem, Ernst & Young, Vanguard, AT&T, and American Express Global Business Travel, have adopted RPA. RPA bears crucial implications in a number of industries. Banks, insurance companies and financial institutions process vast number of business operations daily. In these industries that require bulky and intensive operations, RPA can be implemented as a virtual worker, replacing the personnel in repetitive and mundane tasks. Robotic process automation enables today’s banks to meet the higher demands for security, auditability, and data quality, which eventually enhances operational efficiency. For credit card applications, the automated software is used for handling the tasks like issuing cards to the consumers. RPA enhances both speed and accuracy of these tasks, which boosts productivity. The retail industry robotic process automation benefits to a huge extent from the RPA deployment. The automated software has been developed to manage fraudulent accounts, for instance, as well as to upgrade orders and process the shipping notifications, removing the need to track shipped goods manually. In telecommunications industry, RPA monitors the CRM subscriber feeds, customer data updates and fraud management data. It also serves as a middleware for automating the user information. The legal industry is heavily relied on documentation and record keeping, and these tasks, surprisingly so, are still done manually, implying that files must be arranged, accessed and analyzed manually. RPA software bots can process scanned stacks of paperwork as well as digitize client information. Using the optical character recognition technology, the RPA bots can automate the data transfer between scanned files and the new systems. Moreover, they can also be deployed to locate lost information within the files. It has been estimated that by 2020, the automation and artificial intelligence will decrease staff recruitments in the business shared-service centers by almost 65 percent, Gartner says. It also predicts that RPA market is expected to reach $1 billion per annum, by 2020. By that time, 40 percent of the big scale businesses would have adopted the RPA software tool, up from less than 10 percent at present. “RPA technology saves employee’s time/effort and creates/expands the area where humans can pay more attention to. However, the potential risks associated with RPA cannot be avoided. RPA is not for all enterprises. Deploying thousands of bots takes a lot longer and is costlier and more complex than the most enterprises have hoped it would be. The platforms where bots interact may change, and the required flexibility is not always configured into a bot. In addition, a new regulation needing minor changes to the application form could put months of work done on the bot in the back office as a waste, which was close to completion. Nonetheless, in 2018, further improvements in the RPA technology are expected, including cognitive reasoning applications. The ability of the technology to enable precise, faster operations in the industries will keep driving growth ahead as enterprises adopt RPA to enhance their operational efficiency as well as cost savings.